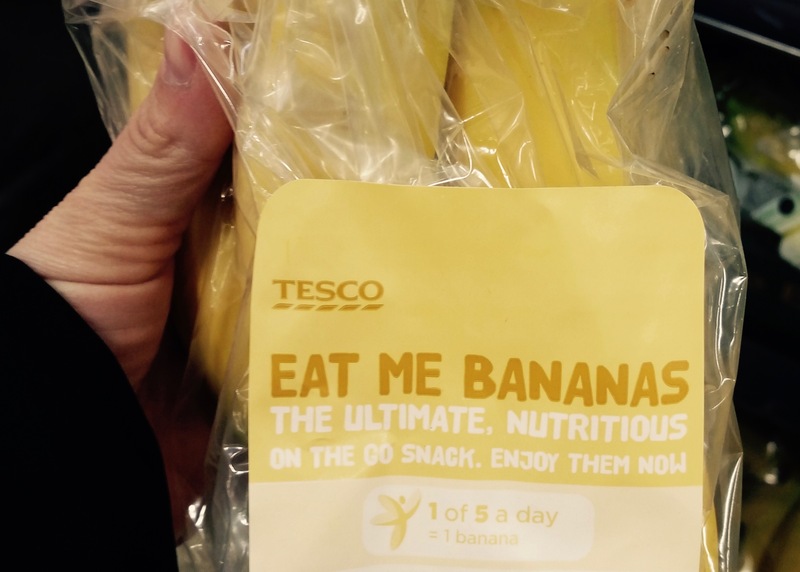 On our last day we returned the rental car and got dropped off at the Tesco Extra, which is basically like a Target superstore, where we looked around for gifts and were amused by items like Eat Me Bananas. Then we went to the station with a profound sense of sadness about our last train ride in Ireland. Last chance to look out the window at the green green fields. Last chance to get Barry’s tea and oatie biscuits from the tea trolley. 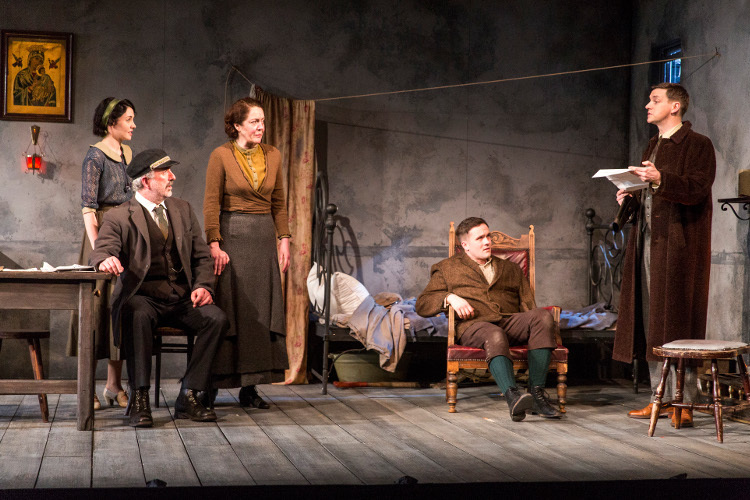 We had theatre tickets that night in Dublin for “Juno and the Paycock,” a play about the Irish Civil War by Sean O’Casey — a lovely production with stellar acting. In the morning we yawned our way into a 4:30 AM taxi. 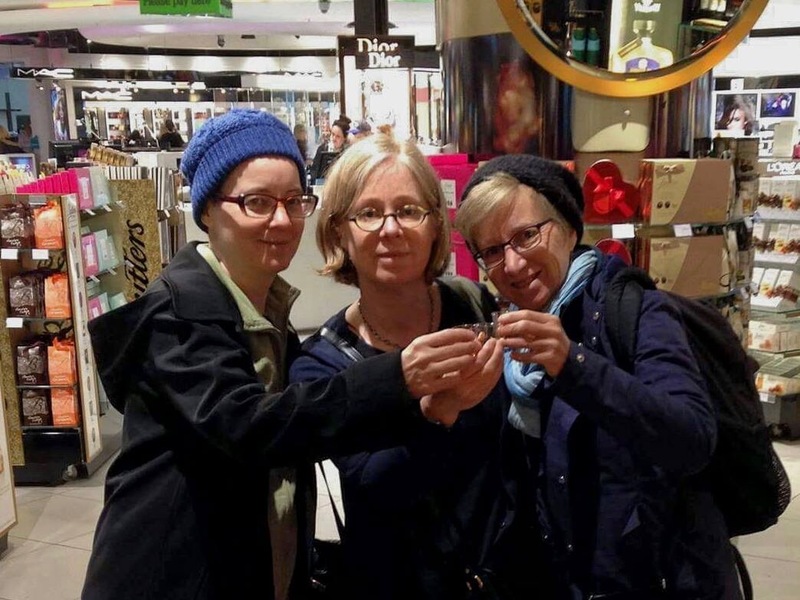 We got through airport security super early for our 7 AM flight and enjoyed a free sample of 15-year Red Breast whiskey at the duty-free. (It was phenomenal, but for everyday drinking I would actually rather have the less intense 12-year version.) Then we wandered around and forgot to go through customs pre-clearance so we were late for our flight and had to do the walk of shame down the aisle of our full-and-waiting airplane. Oops! I had no regrets. Why leave Ireland a minute earlier than you have to?